While former President George H.W. Bush was known for his political and foreign policy achievements, many will also remember him for his flashy footwear. 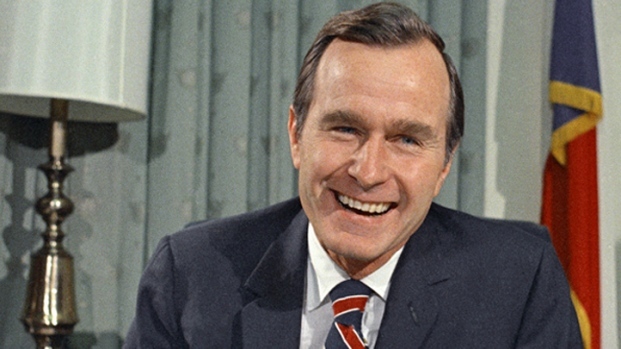 Bush, who died at the age of 94 on Friday, had a well documented love of socks. His fancy for colorful ankle-wear popularized the hashtag #sockswag after former President Bill Clinton used it in a 2013 Twitter post. "Enjoyed my annual lunch with President and Mrs. Bush in Maine. Envious of his 'western cactus'-themed socks.#sockswag," Clinton wrote during a visit to Bush’s home in coastal Kennebunkport, Maine. He later donated the socks to the Roman Catholic Diocese of Portland with a letter of authenticity that joked "I Absolutely love a crazy pair of socks. Barbara, on the other hand, has had enough." Bush's penchant for colorful, flamboyant socks became one of his trademarks in his elder years. 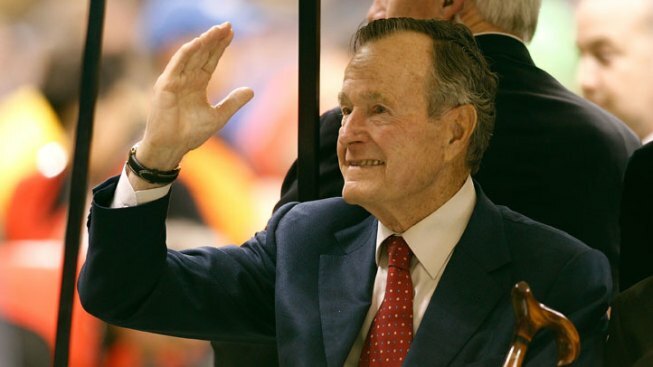 In an interview with granddaughter and "Today" correspondent Jenna Bush Hager, the former president said "I love a good sock." At Barbara Bush’s funeral in April, he donned socks decorated with stacks of colorful books to honor her long devotion to literacy. The socks were a gift from 22-year-old John Cronin, a New York man with Down syndrome who, along with his father, launched a sock business in 2016. John’s Crazy Socks now donates 100 percent of the book-themed socks’ proceeds to the Barbara Bush Literacy Foundation. In a 2014 interview with Buzzfeed, Bush said that when picking out a pair of socks, one must "assess the prevailing mood. Sometimes a good sock can give those around you a lift like a catchy tune or a post-convention bounce in the polls." He also has one important piece of advice on #sockswag: "The first rule of sock club is there is no sock club."